"Mommy I want to knit too. Can you show me how to make stitches?" I practically melted in my seat. "Are you kidding me?.. !!!" 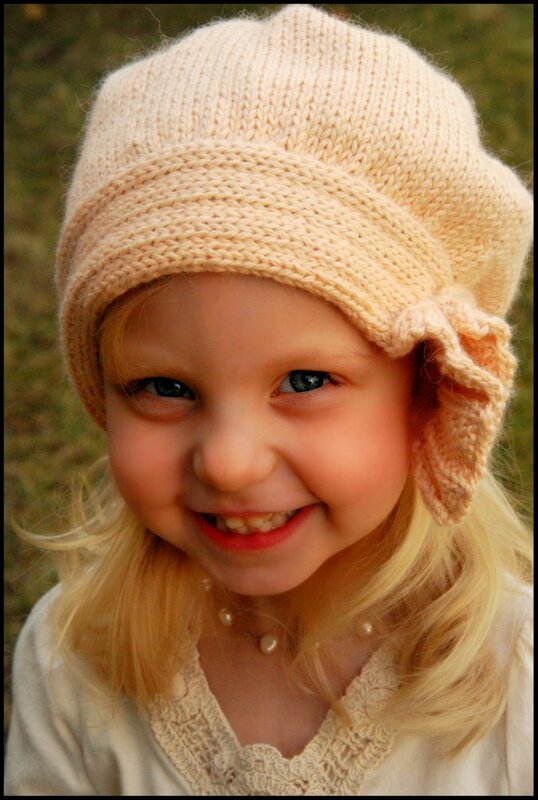 I've determined that my daughter will love knitting. She'll have to. I will make her.. or something. So every few days we've been having "knitting classes" together. 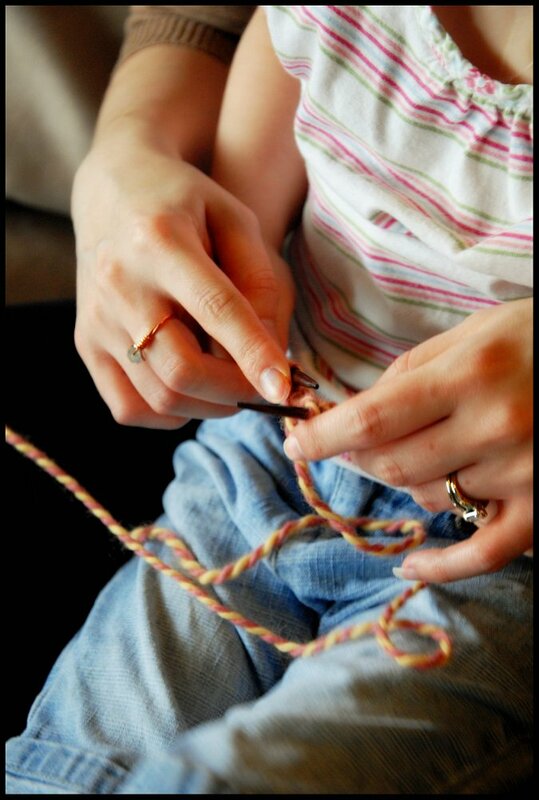 to watch those little fingers hold the yarn and needles. 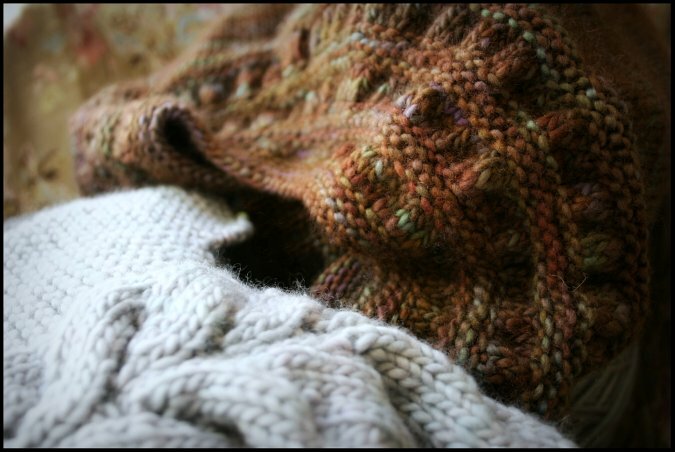 I've remembered a little children's knitting rhyme that I heard somewhere to help her remember the steps. "In through the front door. Run around the back. Out through the window and off jumps Jack!" 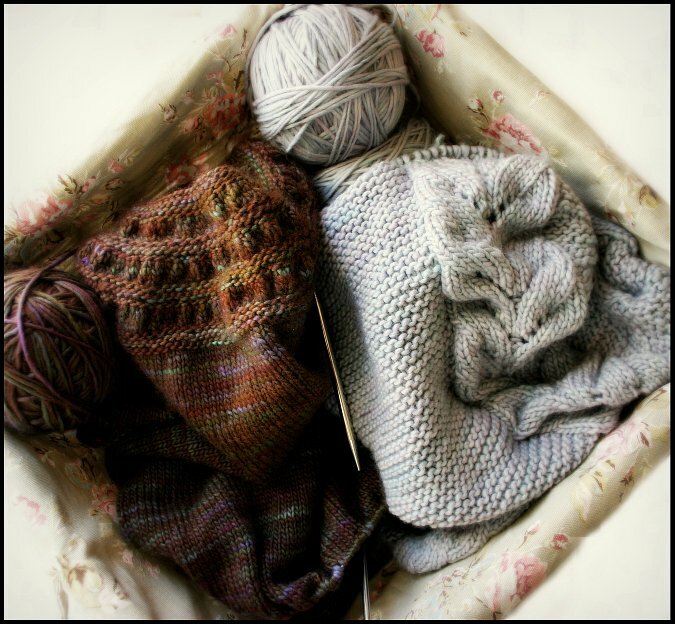 I can't wait until we can truly knit together. That will be so fun! I love buttons. They can add so much to a finished piece. and couldn't help but get some for myself! 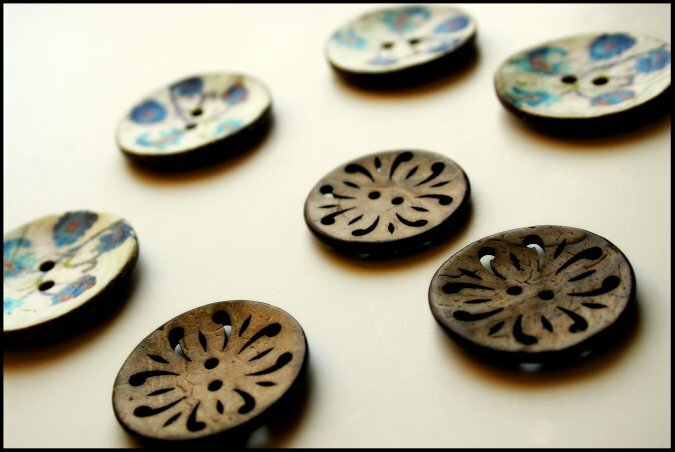 Both of these buttons are made from coconut shells so they are nice and lightweight. to fold over on itself if left unbuttoned. 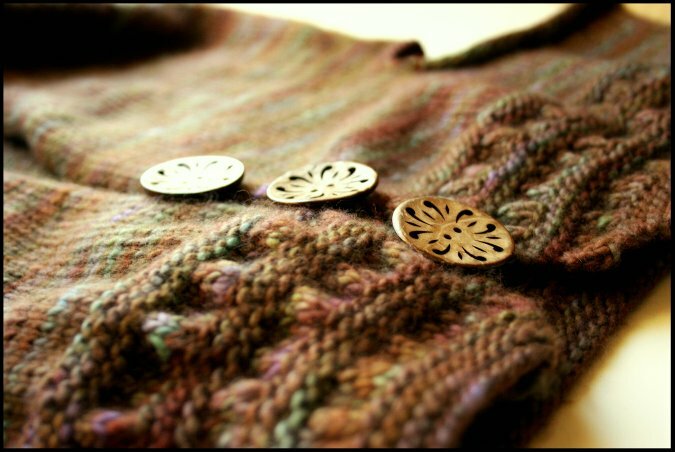 I love the way the cut out buttons look with my Tea Leaves Cardigan! They are the perfect size too! Now all I need is a buttonband for them! ... I knew that I had to have it. Originally this hat was supposed to be for me. But this color I chose for it ended up being kind of a difficult color for me to wear. I was trying to pick a pale pink color.. but you know how it goes with shopping online. but it turned out that it was much more of a peach tone than pink. Also the yarn was thinner than I was expecting so I had to double it to get the correct gauge. 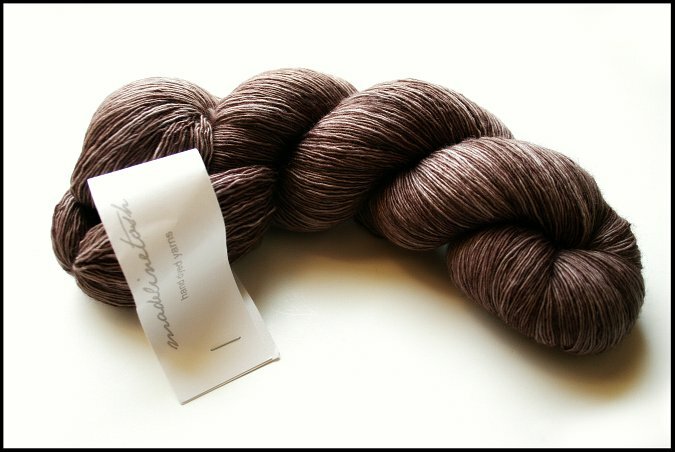 sheen and drape, and the alpaca added the soft halo which I really love. 2 skeins was just enough to finish the hat. Even though the hat didn't work out for me.. I think it looks absolutely precious on my soon to be 4 year old daughter. 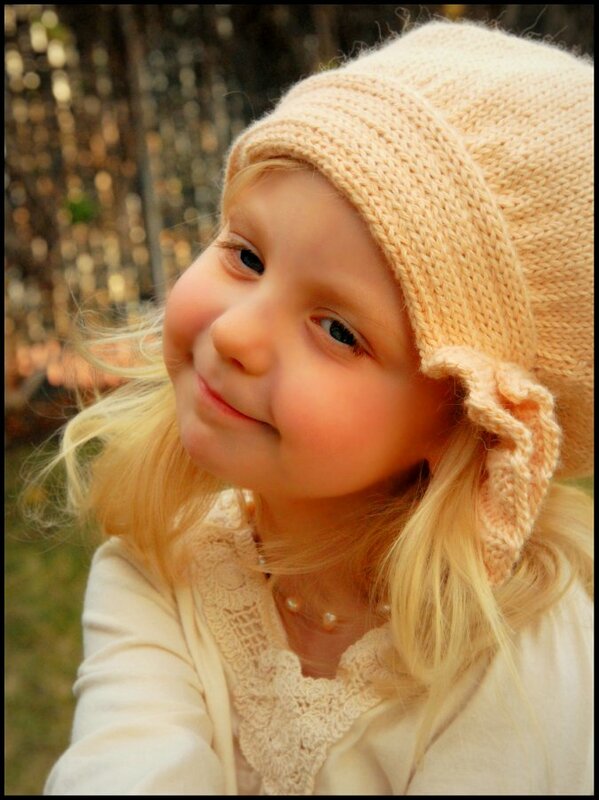 Kids can wear anything and still look cute! 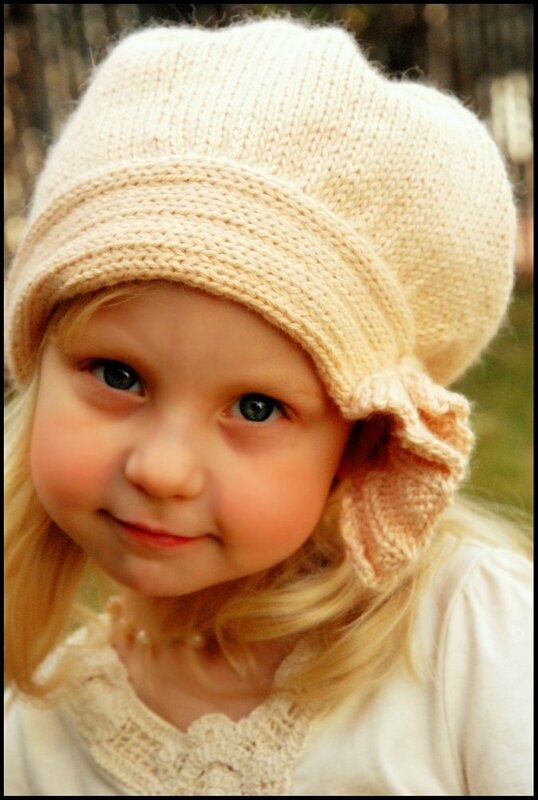 I just love the feminine vintage style of this cloche and look forward to making myself one out of a different yarn. I'm thinking a charcoal gray angora blend. I think that would look really classic and cute. 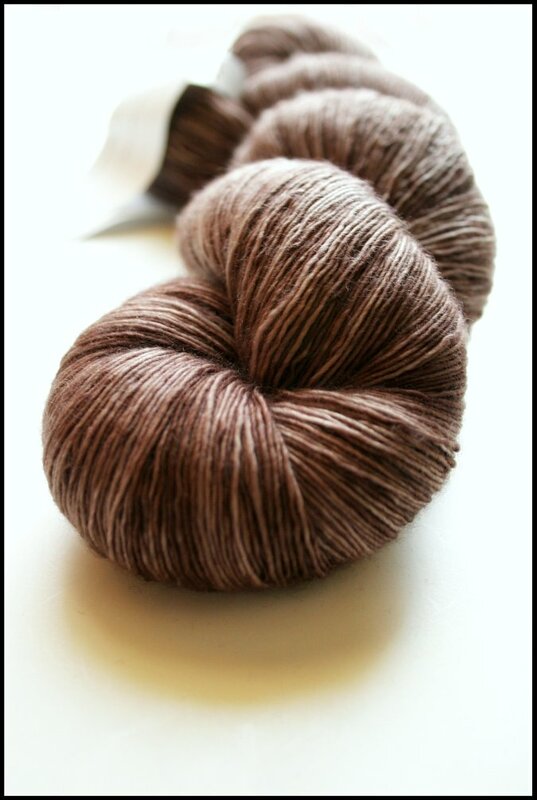 Does anyone have any good yarn suggestions for me?